When developing a meditation practice, we often find that the act of sitting and taking time for ourselves, perhaps in a special place or at a special time, begins to feels like a nurturing practice. We learn to associate it with comfort and self care. The Danish word Hygge has a similar meaning. There’s no exact translation but it’s viewed as a ritual where one can find enjoyment and comfort in life’s simple pleasures. That might be enjoying the company of friends or family. Doing something that feels nurturing and creates contentment or feelings of warmth. Some examples are creating a cozy evening by candlelight, eating comfort food, taking a warm bath, Doing something you enjoyed as a child, going for a bike ride with a good friend. Any simple pleasures that makes you feel happy and comforted. The word ‘Hygge’ originates from a Norwegian word meaning ‘well-being’. For almost five hundred years, Denmark and Norway were one kingdom, until Denmark lost Norway in 1814. ‘Hygge’ appeared in written Danish for the first time in the early 1800s, and the link between hygge and well-being or happiness may be no coincidence. Danes are the happiest people in Europe according to the European Social Survey, but they are also the ones who meet most often with their friends and family and feel the calmest and most peaceful. Therefore, it is with good reason that we see a growing interest in hygge. Journalists are touring Denmark searching for hygge; in the UK, a college is now teaching Danish hygge; and around the world, hygge bakeries, shops and cafés are popping up. Although this a celebrated practice in Denmark, it can be experienced anywhere, so the next time you're feeling like you could use some comfort, perhaps contemplate the ways you can bring hygge into your life. Maybe even today. 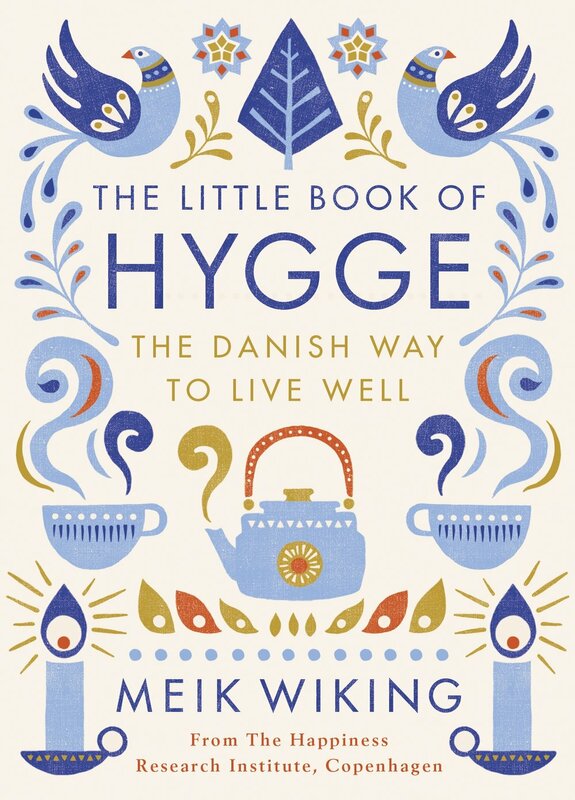 For more inspiration and learning how to create Hygge in your home and life, be sure to check out The Little Book of Hygge by Meik Wiking.